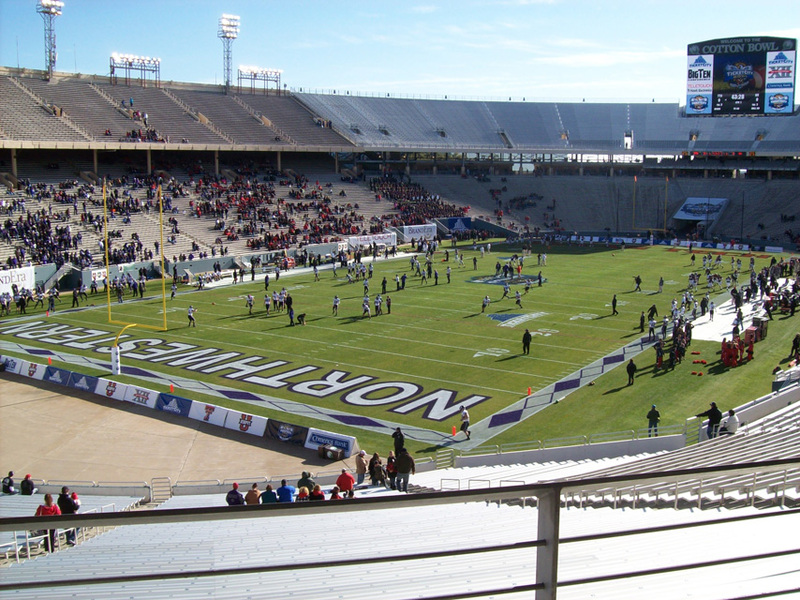 The Cotton Bowl, today the home of the Heart of Dallas Bowl. Where: Ford Field, Detroit, Mich.
Where: Tropicana Field, St. Petersburg, Fla.
Where: Navy-Marine Corps Memorial Stadium, Annapolis, Md. Where: Independence Bowl, Shreveport, La. Where: Yankee Stadium, Bronx, N.Y.
Where: Qualcomm Stadium, San Diego, Calif.
Where: Liberty Bowl Memorial Stadium, Memphis, Tenn.
Where: Florida Citrus Bowl Stadium, Orlando, Fla.
Where: LP Field, Nashville, Tenn.
Where: Bank of America Stadium, Charlotte, N.C.
Where: Levi’s Stadium, Santa Clara, Calif.
Where: Georgia Dome, Atlanta, Ga.
Where: University of Phoenix Stadium, Glendale, Ariz.
Where: Sun Life Stadium, Miami Gardens, Fla.
Where: Raymond James Stadium, Tampa, Fla.
Where: Rose Bowl Stadium, Pasadena, Calif.
Where: Mercedes-Benz Superdome, New Orleans, La. Where: EverBank Stadium, Jacksonville, Fla.
Where: Sun Devil Stadium, Tempe, Ariz.
Where: Legion Field, Birmingham, Ala.
Where: Ladd-Peebles Stadium, Mobile, Ala.